Three has announced a new tariff that flies in the face of recent network limitations, by offering an unlimited data service for those people who sign up for its The One Plan. Unlimited data tariffs looked to be a thing of the past, as networks realised that phones (and users) were getting more data hungry. Hiding behind fair usage schemes was becoming bad for publicity, so most data plans are now offered with set limits. However, Three's latest The One Plan is offering what the company terms as a true 'all-you-can-eat' data plan. Sales and Marketing Director Marc Allera said: "The One Plan was already a market-changing offer – we've just made it even better. 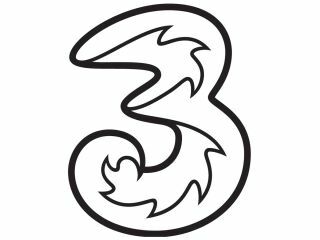 "At Three we've built a network with the scale and scope to meet people's data needs both now and into the future – and with more and more customers choosing to opt for next generation smartphones, this will prove more important than ever." "We expect to see more people using mobiles than PCs to access the internet by 2015. All-you-can-eat data is designed to remove the possibility of bill shock when you use data, so you can use your smartphone to do everything it was designed for without the worry of cost." In truth, the majority of people do not consume that great an amount of data – but this offer will bring well-deserved positive publicity for the network. Be warned, though, this is still not a cheap plan and casual users may not want to fork out £25 a month for 2,000 any-network minutes, 5,000 Three-to-Three minutes, 5,000 texts and all-you-can-eat data. But, if you are a power user, this might be right up your street.